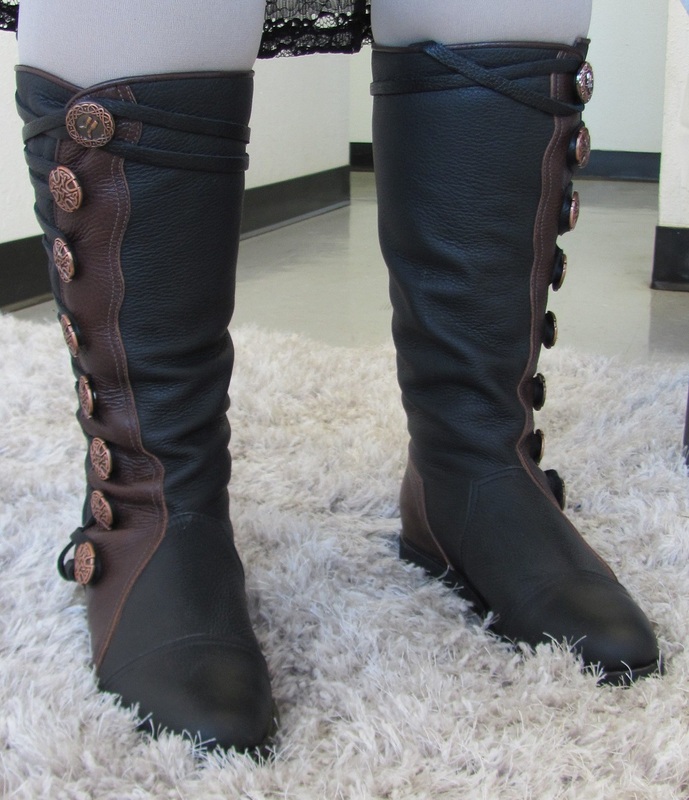 The Queen Isabella knee boot has a heavy leather upper in either black or brown with lace feature to fit the widest possible range of calf sizes-from the small to the very large! Add a trim color of either a matching color or one to compliment your style. 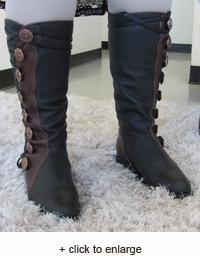 Colored trim is on the outside of the leg as well as on the heel box of the boot (see pictures). Conchos are screw on - not sewn on buttons as others offer. You can easily change them to another style at any time with the aid of a simple slotted screwdriver. One piece Vibram welted sole and heel for maximum durability and can be resoled. 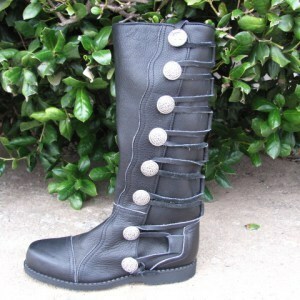 Undoubtedly, this is the most durable boot of its kind in the Renaissance world, and at an affordable price point, too. NOTE-due to the wide range of color combination's, not all items will be available from stock, so either allow approximately 3 weeks to complete and ship or check with us for stock sizes and colors. These are proudly hand crafted in the New World (USA). The ladies fits a normal width foot.